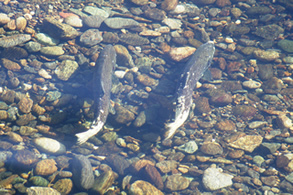 Welcome to San Francisco Baykeeper's January E-News. Baykeeper is pleased to partner with the San Francisco Ocean Film Festival in a special screening of the award-winning documentary film Sand Wars. Join us on Tuesday, January 20, 7:00 pm, at Cowell Theater, Fort Mason Center, San Francisco. Sand Wars exposes how excessive sand mining—like that happening in San Francisco Bay—is depleting the world's supply of sand. Sand is being grabbed for use in construction and in dozens of products, including wine, computers, cosmetics, and paper. Seventy percent of the world's beaches are in decline, sand smuggling is becoming common, and entire islands are vanishing. 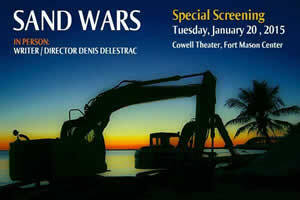 After the screening, filmmaker Denis Delestrac will discuss sand issues facing the world. Baykeeper staff will then provide an update on our legal case to stop excessive sand mining in San Francisco Bay, which contributes to the erosion of Ocean Beach and damages Bay wildlife habitat. Learn more about the special Sand Wars screening on January 20 and order tickets. 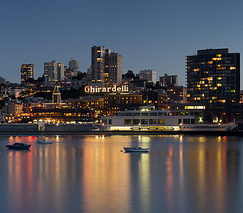 On Sunday, March 8, San Francisco Baykeeper presents Envisioning the Future of a Healthy San Francisco Bay at the historic Dolphin Club in San Francisco, 4-8pm. Plus, enjoy savory steamed Dungeness crab, sourdough bread, delicious wine from Poseidon's Vineyard, and a charming deck with beautiful Bay views. All proceeds will benefit Baykeeper's work to protect the Bay. Save the date and plan to join us there! Baykeeper was a party in the case, along with a broad coalition of environmental and fishing industry groups, represented by Earthjustice and the Natural Resources Defense Council (NRDC). It's a clear victory keeping needed protections in place. But more still needs to be done to ensure that the Bay and Delta have enough fresh water to support the wildlife that has historically thrived here. Learn more about the recent court ruling limiting the amount of fresh water that can be pumped out of the Delta and Bay. Baykeeper is pressing forward with our successful Bay-Safe Industry campaign to compel more industrial facilities to keep contamination out of the Bay. We'll also push the city of San Jose to stop polluting the Bay with toxic runoff, and step up our advocacy to protect the Bay from oil spills from long trains of tank cars. 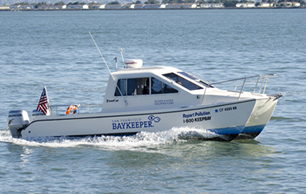 Plus, we'll be on the water patrolling the Bay in the Baykeeper boat, and on the alert for new pollution threats. And if you haven't yet had a chance to make a gift, we still need your support for our work in 2015! 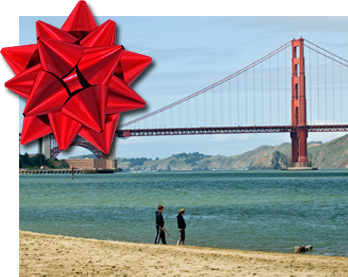 Help protect San Francisco Bay by making a gift to Baykeeper today. Together, we can realize our vision of a Bay where the ecosystem is healthy, recreation is safe, and wildlife thrives. We could use your help with the move! Baykeeper is seeking volunteers to help with document scanning and packing in our San Francisco office, between now and January 23. If you can help, please contact Jenna McElroy at jenna@baykeeper.org. We look forward to starting a new year of Bay protection from our new office!